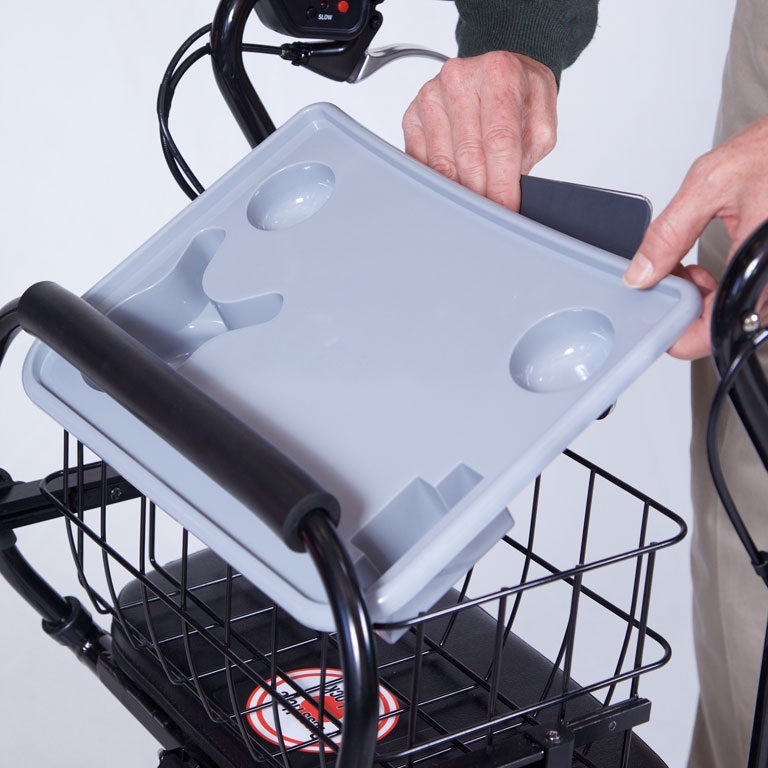 The U Step II Walker Basket and Tray are helpful accessories that allow users to carry personal items when using the U Step II Walker. 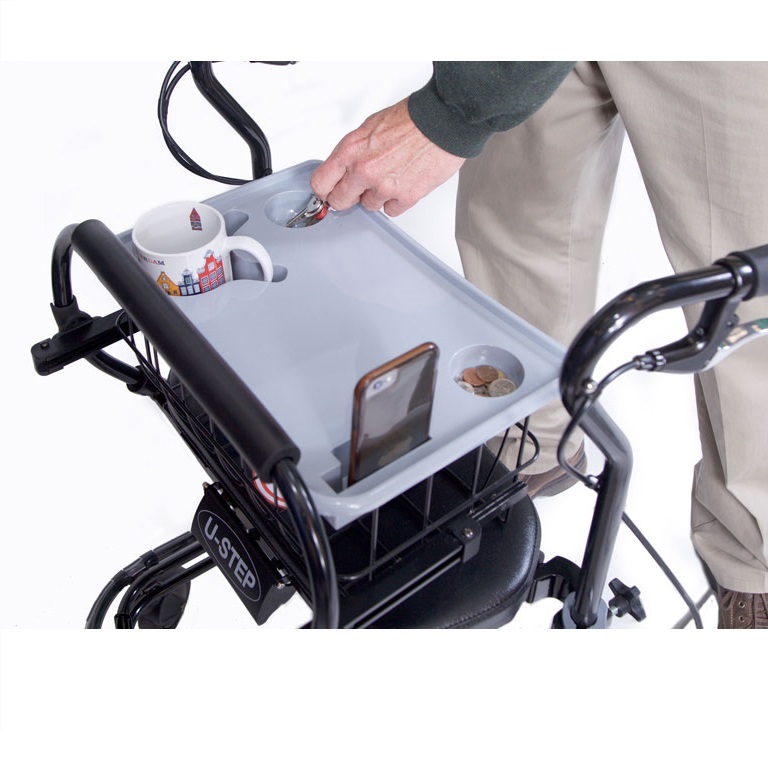 The set includes a tray and basket that easily attach to the walker. 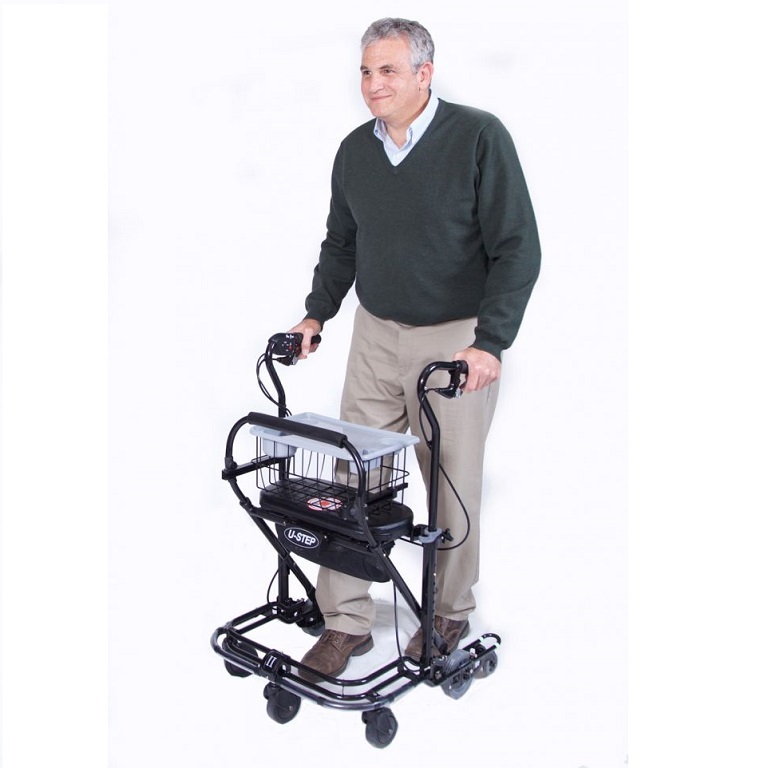 The U Step II Walker Basket and Tray set includes a multi-purpose tray and large wire basket. 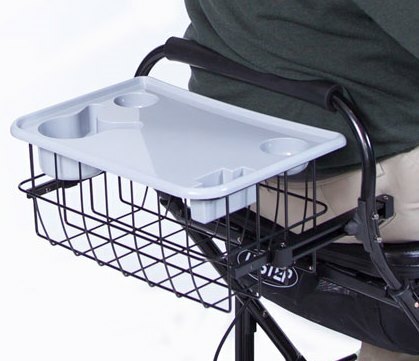 Users will find they can carry a variety of personal items in the large wire basket and safely carry food, beverages and more on the multi-purpose tray. The tray is mounted on a slide system so that it can be pulled close for easy access and then pushed out of the way for sitting on the seat. The tray and basket are mounted high for reduced bending. The U Step II Walker Basket and Tray is designed to fit all U Step II Walking Stabilizers with a serial number starting with U3. 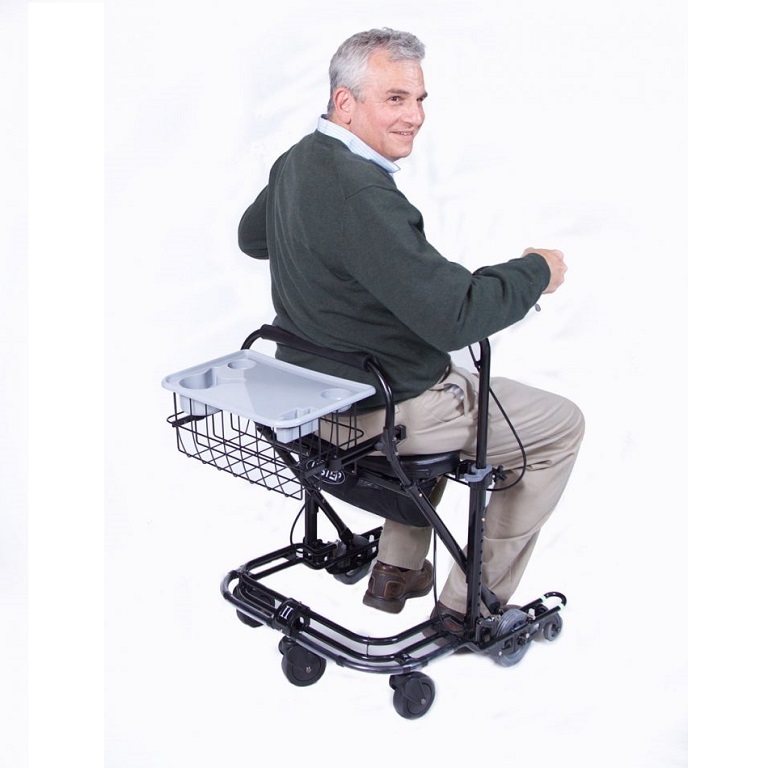 Please note: The U-Step II Walker is not included. Accessory for: U-Step2 Walking Stabilizer with a serial number starting with U3. Dimensions: 20 inches long, 16 inches wide, 10 inches high. We haven't been able to use this yet because my mom just fell and broke her wrist BUT we are all very impressed with the outstanding quality and sturdiness. Our mom can tell already that this will be an excellent addition to her walker. (She is 86 and has Parkinsons.) We love that she can use it to store things quite easily in the basket as she goes through the house --much safer!